The last version of Dropbox obtained a new feature. I'm talking about the new improved dragging system for opening the Dropzone grid. Whenever I drag an item around, a Dropzone pop-up would show up. While some users may find it useful, it's a bit intrusive for me. There are quite a few shortcuts on the upper side of my Finder toolbar which are being overlapped with this pop-up. Is there a way to disable this kind of behavior and have it the way it was with 3.5.4? Or maybe it is possible to just include such an option in preferences in a future version? If you disable it then you can still drag onto the Dropzone menu item. I also would like to disable the pop-up target zone (mostly it's annoying, popping up even when doing something like dragging text around on a page), however was not able to do so using this method. 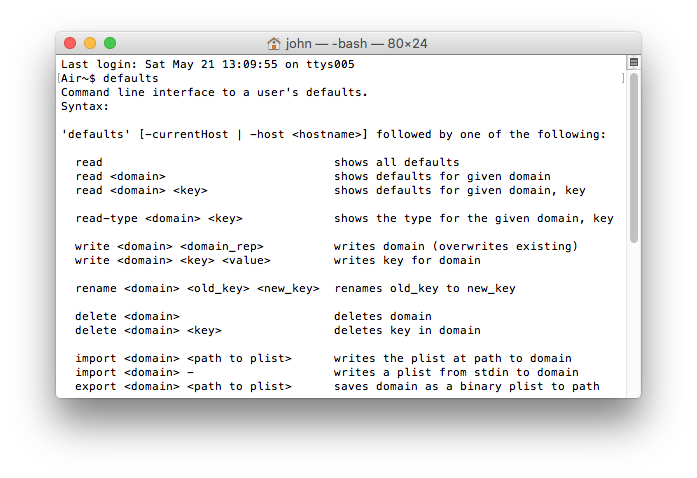 Terminal gives me a "no such file" response to this command. Looking through the files, there is a com.aptonic.Dropzone3.plist but there is no ScreenTopDragEnabled command in that file. Has something changed or am I missing something? Thanks! Yes, I had the Mac App Store version, but then downloaded and installed the version from your sandboxing page. Terminal gives the "command not found" for this App store version of the command. The non-app store version continues to give "no such file". Indeed, there is no such file in preferences - just a plist file, which seems to be the same as the plist file in the Library/Containers/... location. which is deleted each time I start DropZone (I kept a copy of the original plist files in case I messed things up!). John - Still get "command not found" from terminal; there is no ScreenTopDragEnabled in the plist file. ScreenTopDragEnabled would not be in the plist to begin with. The command is supposed to add this entry. What do you get? It should be something like in the below screenshot. Didn't think to add that when I paste the command as is, I get "permission denied". I add sudo, paste again, enter password when asked and then get "command not found"
In the Terminal do you get the same result as in my screenshot above (after entering your password)? Or do you then get "command not found"? Today that worked. I just installed the most recent OS X security update (though still using Yosemite), so that must have been the difference. My apologies for not having done that first, and thanks for your persistance! * Summarize the methods in ONE POST with the CORRECT COMMANDS. This would eliminate the need to read through the entire thread and at the same time back-correct on the mistakes made. * Separately distinguish the commands for MAS versions non-MAS versions (and tell users how to determine which one they have). Again, confusion reigns here otherwise. * Post this as a FAQs so we don't have to come here and hunt. * Put an option in the Preferences to disable/enable this feature. Not everyone is conversant with Terminal commands even when they are spelled out in detail. PS -- YOU MUST RESTART DROPZONE after any change is made (in case you were not aware). PPS -- The way Dropzone now works seriously interferes with other tools that detect "select to drag" actions to the point that they become disabled. A menu bar tool should IMHO be designed by default to activate ONLY when something is dragged to it, not when something is randomly selected on the desktop. IOW, make the default setup with -bool FALSE not -bool TRUE and require users to "opt-in" not "opt-out" of the new behavior.